The media is heavily reporting a new study that claims to have found “clear evidence” that high levels of mobile phone radiation exposure may up the risk of certain cancers, but what does that really mean? The study is a project of the National Toxicology Program nominated by the U.S. Food and Drug Administration because of our widespread public cell phone use but limited understanding of long-term exposure risks. The results, published on November 1, are the culmination of more than a decade of careful scientific testing. The study sought to see what effect, if any, radio frequency radiation (RFR) from 2G and 3G mobile phone networks might have on our biology. To approximate this, the researchers used over 3,000 rodents*. Those in the exposure group lived in specially created chambers where they experienced RFR radiation for nine hours a day for two years. The researchers found that male rats in the study had a higher rate of heart tumors compared to the rats who were never exposed to radiation. This is dubbed a “clear evidence” of higher incidences, the highest category of carcinogenicity. Interestingly, when taken as a group, those RFR-exposed rats also lived longer, largely due to fewer kidney problems. It is not clear why this might be. It’s worth noting that this study’s model differs markedly from how humans are exposed to mobile phone radiation. The most concentrated exposure we experience tends to be during extended call times, rather than the all-over body exposure that led to evidence of elevated heart tumor risk. There was also “some evidence” of higher rates of brain tumors in male rats, the medium level of risk. Between two to three percent of the male rats developed malignant gliomas, a lethal kind of brain tumor. That’s a small proportion, but it is significant. There was also “some evidence” of tumors in the male rats’ adrenal glands. In the case of female rats and all the mice in the study, there was evidence that radiation exposure appeared to increase molecules in the body that sometimes link to cancer, but there was no actual concrete evidence of more cancer incidents. It is not unusual for cancers to present differently among the sexes, so this is not entirely unexpected. The key thing to note here is that the exposures in this study are not equivalent to normal radiation exposures that we experience from cell phone use in our day-to-day lives. In fact, the lowest level of RFR exposure used in these tests is equivalent to the very highest levels of exposure among habitual users of mobile phones. Because this was an animal study we can’t soundly draw any direct implications for human health, but it may inform our thinking on questions surrounding mobile phones and potential cancer risk, if there is any. There have been a great many scare stories over the years about mobile phone radiation and cancer, but if they had any basis in scientific studies at all, they have been founded on very small studies that did not have large enough data pools to give us reliable information. Larger studies with more reliable data have consistently said that mobile phone use is safe and that there is no evidence of adverse effects on human health that can be directly attributed to RFR exposure. Still, scientists have been keen to see at what level we might expect health problems to crop up, something that is particularly important as cell phone use has become a part of our everyday lives. One thing we might say about this study is that independent analysts have agreed this data proves that—in very high levels, much higher than we typically experience—it is possible that 2G and 3G mobile phone radiation could elevate cancer risk. The research shows that biologically that is possible, but at the same time it only shows that happening under very specific conditions at very high exposure levels. A strength of this study is how tightly controlled the radiation rates were, precisely because of the methodical way in which the rats and mice were tested. 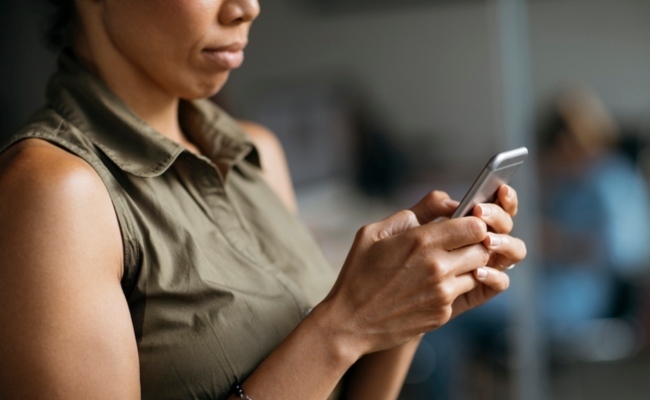 * This is a major strength of the study over, say, asking people about their cell phone habits, which can give us some indication of exposure levels but comes with a number of unanswered questions about the reliability and scope of that data. The researchers are keen to point out that this study does not tell us about the health implications of exposure to Wi-Fi or emerging 5G networks. These may be markedly different to the RFR in 2G and 3G networks and use far higher frequencies that, scientists say, do not penetrate tissue in the same way. The researchers are building new testing chambers that will allow them to test newer technologies and their effects much more quickly, according to the New York Times. For now, moderate mobile phone use appears to be safe for our physical health, at least in terms of cancer risk, though other studies have shown we may want to be concerned about the psychological impact of our always connected world. *Care2 does not endorse animal testing and believes that there are viable alternatives such as computer modelling. Here we are talking about the strengths of the study from a scientific perspective. This does not constitute endorsement of the methods used to secure this data. Mankind existed for thousands of years without cell phones. So do rodents. Why not using those people, who use mobile phones regularly, for a study and leave innocent rodents alone? ''very small studies that did not have large enough data pools to give us reliable information.'' best they do more studies on other than 'rats' and stop using critters anyway for experiments...got to be another decent human way to figure this out! Animal suffering again ! Re cell phones I am concerned for young children. Once again, we see poor animals being used to show how useless and cruel these experiments are on these poor helpless victims of humans who are trying to prove sometthing which in the end tells us really nothing about ourselves! These poor animals subjected for nine hours daily for two years? How does that even compare with human use of cell phones! Itâs no camparison at all! All of these experiments with animals always go to the absolute extreme to cause these poor animals to suffer as much as possible and in the end showing really nothing as the scientists themselves even say thereâs no conclusive results or it doesnât really compare to the exposure that we get! But what so they care about animal suffering?! I would be very concerned re children and teenagers with developing brains using cell phones. Rodents don't use cellphones, we are not rodents: it's animal abuse. Those rats and mice were killed, and then dissected, so people could ignore the warnings and continue using their cell phones. Those poor babies died for nothing.